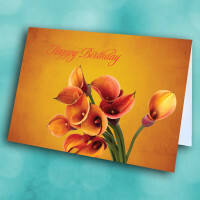 Send a unique, artistic birthday card to convey your sincere birthday greetings. 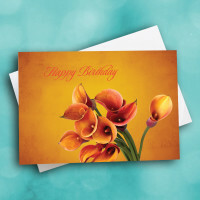 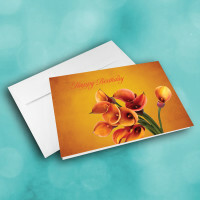 This beautiful, professional birthday card is perfect for business or personal relationships. The bright, orange-fade background is decorated with intricately painted, realistic lillies. 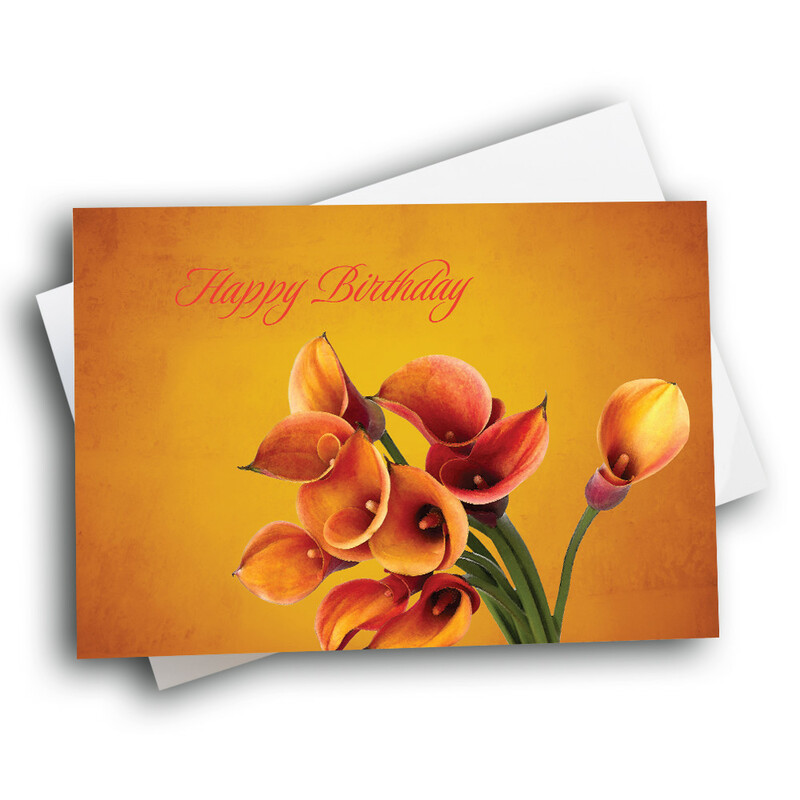 The birthday greeting is penned along the top. 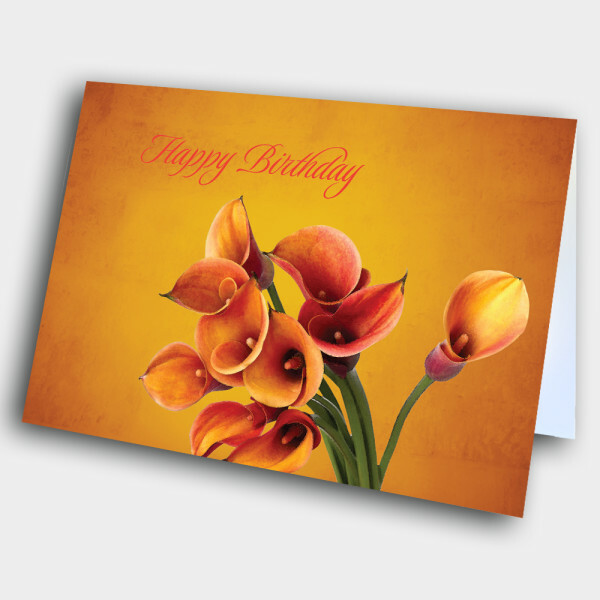 The design is simple but elegant. 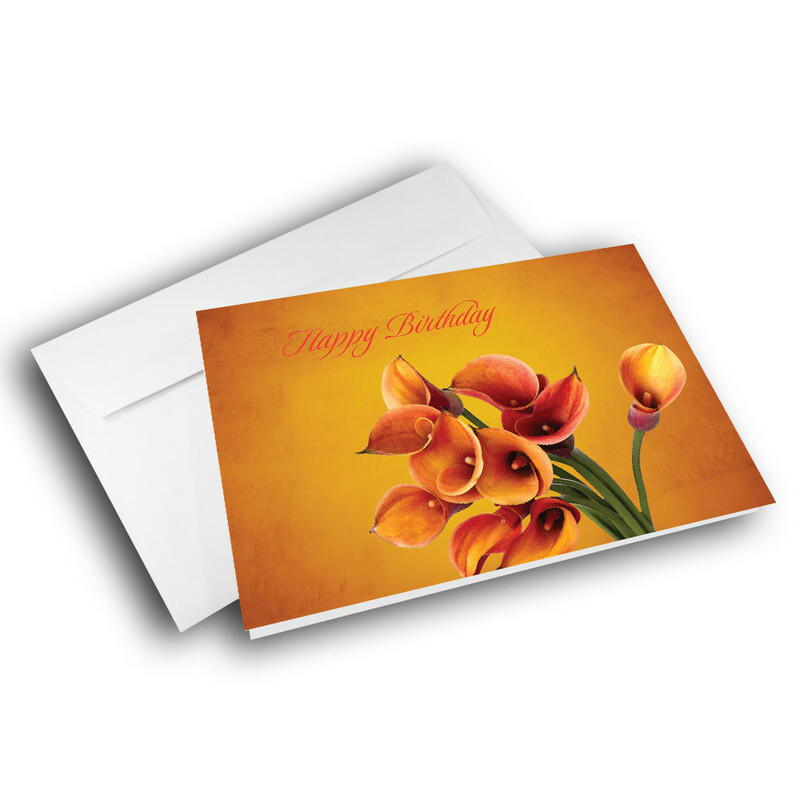 Inside, add a personalized message to make this a custom birthday card.